With loads of delicious ways to prepare this flavourful protein using our recipes, you will be sure to find a favourite your whole family will love. 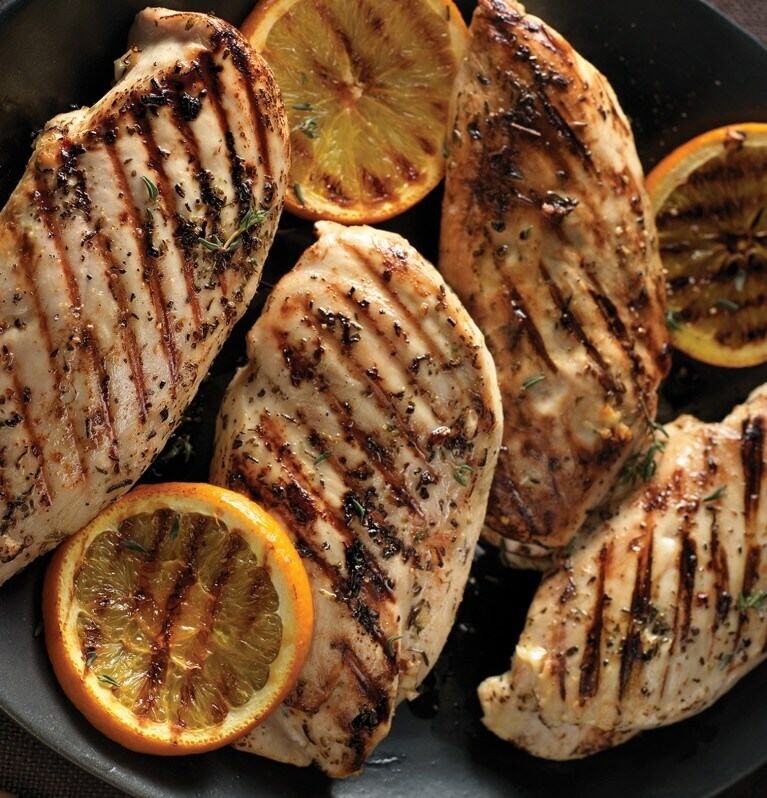 This is the best grilled herb-rubbed chicken recipe! It's easy and flavourful and uses a crushed Knorr® Chicken Bouillon Cube, olive oil and oregano as a rub for the chicken. Chicken and vegetables are flavoured with a zesty combination of ginger, orange and chili flakes and served with teriyaki noodles and lettuce for wrapping. From hearty stews to juicy burgers, we've got fabulous and flavourful recipes for your next beef dish. Delicious and diverse, our collection of pasta recipes will never fail to impress you or your family. Whether it’s a chop, a roast, or on a bun, pork is juicy, tender and oh so flavourful when cooking with our recipes. Discover this mouth-watering collection of recipes that use different fish and shellfish in classic and innovative ways. A dish doesn't need meat to make it memorable. These creative recipes make vegetables, beans and legumes the star of the show. Our cubes and instant and liquid stocks are easy to use, quick to dissolve and add richer, fuller flavour to any dish.